On the outbreak of war with revolutionary France in 1793, most counties raised militias. Staffordshire's militia was unusual in that it was formed into a regular line infantry unit in September of that year, under the colonelcy of Lord Paget. It was given the numeral 80. In its first two years, the unit was sent to garrison Guernsey, fight in Flanders and support an abortive attempt to land a French Royalist force in Brittany. In 1796, it was sent to assist in the seizure of the Cape of Good Hope from the Dutch, and a year later to Ceylon (now Sri Lanka). 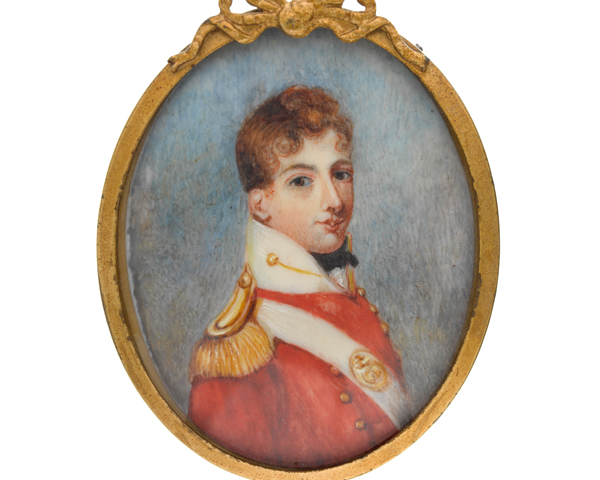 In 1801, the regiment was sent to Egypt to join General Sir Ralph Abercromby’s expedition. It arrived only after losing all its mess-plate and regimental records in a shipwreck. It won a sphinx in its cap badge for the campaign. In 1802, it absorbed the Staffordshire Volunteers, incorporating their name. The regiment was shipwrecked again on its way from Egypt to India. It remained there until 1817, fighting in the Second Maratha War (1803-05) and against the Nairs of Wynaud and the Travancore rebellion (1808). The 1820s saw it in the Mediterranean, garrisoning the British possessions and protectorates of Gibraltar, Malta and the Ionian Islands. It then spent 1831-45 in England and Ireland, before escorting convict ships sailing to Australia, and garrisoning Norfolk Island and New Zealand. In 1845, it sailed for India again. And, yet again, part of the regiment was shipwrecked, leaving it marooned on Little Andaman Island for 50 days. This Indian posting lasted until 1854, including the First Sikh War (1845-46), where it fought at Moodkee and Ferozeshah in 1845, and Sobraon in 1846. 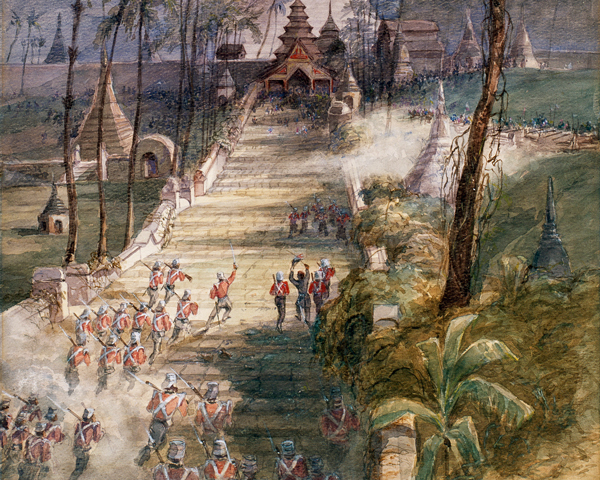 The regiment was also heavily involved in the Second Burma War (1852), participating in the storming of Rangoon, Pegu and Prome. 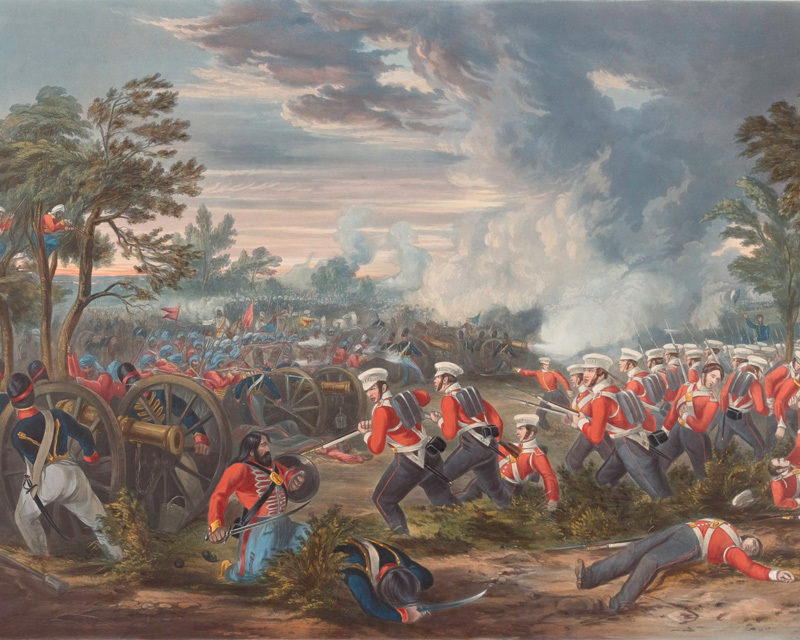 After service at home, the Cape Colony and Ceylon, the regiment returned to India on the outbreak of the Mutiny (1857-59), taking part in the Central India Campaign. This new Indian posting lasted until 1866 and also involved service during the Bhutan War (1864-65). Several years’ home service followed. Next, in 1872, the regiment was sent to the Far East to garrison Singapore and Hong Kong. In 1877, it moved to Natal, fighting in the Ninth Cape Frontier War (1877-79) and then the Zulu War (1879), including the Battle of Ulundi (1879). In 1881, the regiment was amalgamated with the 38th (1st Staffordshire) Regiment to form The South Staffordshire Regiment. 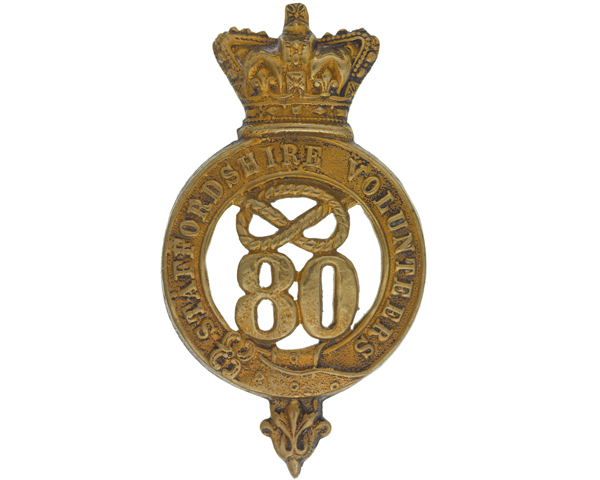 Explore the history and collections of the 80th Regiment by visiting The Staffordshire Regiment Museum.